CUDL AutoSmart: Looking for a new or used vehicle but not sure where to start? CUDL AutoSMART is an on-line resource that provides in-depth information to assist you on your next auto purchase, including research and vehicle comparisons, as well as to calculate trade-in values, check a vehicle’s history, and receive auto buying tips. So, you’re in the market for a new car. Well, finding the perfect vehicle has never been easier than with our Member Auto Shopping Site. Whether you’re looking for a new or pre-owned vehicle, imported or domestic, we can help you find the right car at the right place. Shop by make, model, type or check out vehicles available at your local dealership. Get vehicle details, estimate your monthly payment and easily apply for credit union financing all in one place. When you find the perfect vehicle, contact the dealer to get more information. In the market for a brand new vehicle? Research key features, MSRP, vehicle specifications and safety information, as well as photos and more. You can also build your own vehicle with options that are important to you. We offer tools to help you make an informed decision. Quickly calculate your monthly payment, estimate the value of your trade-in or obtain a vehicle history report. So, test drive our site. With advanced shopping tools, a great selection and excellent loan options, will help you find and finance your next vehicle. 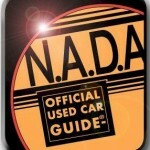 The NADA book is the official data guide issued strictly for dealer members of the National Automobile Dealers Association (NADA) trade group, and it has access to totally exclusive data, such as dealer retail sales, and it analyzes additional data from more than 500,000 various points of sale and other market data. Do your research before purchasing your next vehicle! Click on the graphic below to be taken to NADA.